Although Palm Aire is one of the oldest golf communities in Sarasota, it is exceptionally well maintained. Residential home styles are varied and include single family homes, landscaped villas, executive estates, and maintenance-free condominiums. Many of the residences have been updated through the years. These homes either have a view of the lake or the golf course fairways and greens. The legendary Palm Aire Country Club offers two superb 18-hole, par 72 championship golf courses and will host the Handa Cup in 2016. This LPGA event brings the top US and International senior women players together for several days of extraordinary golf and is one of many elite events in Sarasota Golf. This unique, private member-owned club is designed to enhance every facet of its residents’ lives. Its facilities include tennis, fitness, junior Olympic-sized pool, and fine dining. 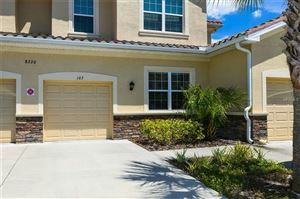 Close to shopping, I-75, Sarasota and Bradenton, Palm Aire attracts retirees, snowbirds and permanent residents in equal measure.